Microsoft Office apps are great right out of the box, but there are plenty of ways to hack and optimize them for even greater productivity 10 Simple Microsoft Word Hacks Everyone Can Do 10 Simple Microsoft Word Hacks Everyone Can Do Our knowledge about Microsoft Word is tested every time we get a document to work on. Every little tip learnt along the way helps. How about ten more tricks for your daily productivity? Read More . One way for serious enthusiasts to bend Office to their will is using macros — sets of instructions you can execute with one click. You might think that macros are only for Excel 4 Mistakes You Can Avoid when Programming Excel Macros with VBA 4 Mistakes You Can Avoid when Programming Excel Macros with VBA Simple code and macros are the keys to Microsoft Excel superpowers. 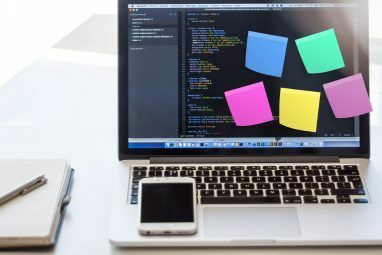 Even non-programmers can easily add impressive functionality to their spreadsheets with Virtual Basics for Applications (VBA). Just avoid these programming beginner mistakes! Read More , but you’d be wrong. You can take your OneNote experience up a notch The Only OneNote Guide You'll Ever Need The Only OneNote Guide You'll Ever Need OneNote is a powerful note-taking app. It's cross-platform and well integrated into Microsoft Office. Read this guide to become a OneNote pro! Read More with some of the best macros, and we’re here to guide you through them. We’re going to achieve macro ninja status using Onetastic, an add-in for OneNote with several functions. You’ll have to choose which version to download based on whether you have the 32-bit or 64-bit version of OneNote installed. This is separate from a 32- or 64-bit version of Windows, so you should confirm which you’re using. Open OneNote and visit File > Account, then click the About OneNote button on the right side. At the top of this window, you’ll see purple text that says either 32-bit or 64-bit. Head to the Onetastic download page and choose the right version for your installation. Unzip the file, open the executable, and Onetastic installs in an instant. Once you’ve got it installed, pop open OneNote and you’ll see new options for Onetastic on the right side of the Home Ribbon tab. Since we’re interested in the macros on the right side of the list, you can click Settings then Show in a separate tab to send these buttons to a new Macros tab on the Ribbon. You can click New Macro to start making your own How to Make Your Own Excel Keyboard Shortcuts the Easy Way How to Make Your Own Excel Keyboard Shortcuts the Easy Way Looking to make Excel your own? Here are the best ways to create custom keyboard shortcuts. Read More , but the service already has hundreds available for download. Browse them via the Download Macros tab or visit the Macroland webpage. Let’s take a look at the best macros you can download now. Onetastic is free to start using, and includes its basic features like OneCalendar, custom styles, and pinning pages and sections to the desktop. Macros are only available for a free trial period, but it’s based on usage, not time. Thus, if you only use a few macros from time to time, you can likely use the service for free. Once you approach the end of the trial period, you’ll see a warning that you need to upgrade to the Pro license for $15. With a Pro subscription, you gain access to all the macros that were available at the time of your purchase as well as any that debut in the next 365 days. So, if you buy Pro today, you can download and use any macros that are released in the next year forever. Any macros released after one year will require another Pro license to use. Have a look at the pricing page for more details. 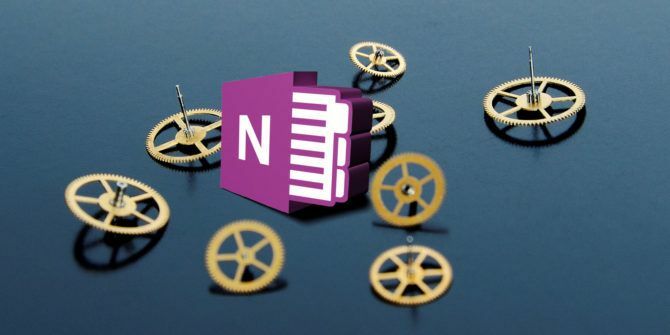 You don’t have to write a line of code to start boosting your OneNote productivity with macros. Here are the best ones available from Macroland at the time of writing. To install one, just download and open it to add it to your Macros tab. A simple macro, but super useful. Sometimes you have a ton of pages that are out of order and need to quickly sort them. This macro sorts all pages in your current section by ascending or descending alphabetical order. It also keeps sub-pages under their parents and sorts them as well. If you’re using OneNote to write a wiki or guide, a table of contents (TOC) is probably something you need. You can easily generate one using this macro, which adds a new page with the contents of your current section. The Fast mode is quick but won’t work if you rename pages, while the Resilient mode will properly link to renamed pages at the cost of speed. For a bigger scope, try the similar TOC in Current Notebook. Those who like to map out their months will love this one. The Insert Monthly Calendar macro does just what you’d expect: pick a year, month, and first day of the week, and you’ll have an instant calendar on your page. Though you can add a line in other Office programs by just typing several hyphens, there’s no easy way to do so in OneNote. This macro fixes that by giving you a quick shortcut to a long horizontal line. It’s not too exciting, but it beats holding down the underscore key for several seconds! #OneNote Tip: AutoCorrect strings can contain up to 255 chars. That's quite sufficient to create a horizontal line. How do you use it? It’s hard to believe that OneNote doesn’t have a Find and Replace functionality like so many other apps. Microsoft’s help page on this topic suggests that you use the Ctrl + F shortcut and paste over every single occurrence of a word to replace it. This would be a complete waste of time if the word appeared more than once, so you’ll definitely want this macro instead. Just supply a word you want to replace and the text you want to replace it with. Then choose the scope of the search and whether it should match case, and you’re all done. Much better than manually replacing it. 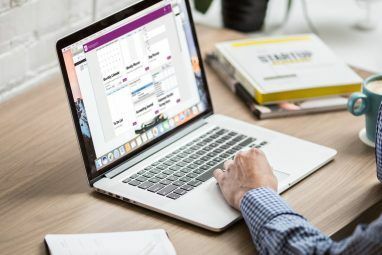 Depending on what you’re using OneNote for 12 Ways to Run Your Life Like a Boss With OneNote 12 Ways to Run Your Life Like a Boss With OneNote OneNote can be your one-stop-shop for everything from organizing information, via managing projects, to keeping a daily journal. Here we propose a dozen ways in which you can use OneNote. Read More , sorting by date might be more useful than sorting by name. Maybe you want to find pages that are old and in need of an update, for example. There’s a macro to help with just that. You can sort in a section or an entire notebook, and sort by created or last modified date. Collaborating with OneNote How to Use Microsoft OneNote for Project Management How to Use Microsoft OneNote for Project Management OneNote is the ideal collaboration tool for managing simple projects in small teams. And it's completely free. See how OneNote can help your projects take off! Read More means that you probably have multiple people who edit the same notebook. When this is the case, it’s useful to see which pages have recently changed. Whether you want to make sure that someone is making changes where they’re supposed to or just want to remember what you were editing recently, give this macro a try. Microsoft Word has a built-in word counter, but OneNote does not. You could always copy and paste your page into a free word counting tool, but this macro makes it faster. Seeing how much content you have in OneNote might mean you take notes like a famous scientist! Caps Lock is a huge pain. You almost never need to type in all caps, and only ever trigger it by mistake. If you haven’t remapped that key to something more useful, you might find yourself typing entire sentences in all caps before you realize it’s on. Instead of pasting the text into an online converter, this macro lets you quickly convert selected text to all lower case. This is a quick way to fix an annoying mistake. After you use OneNote for a while, you might get bogged down in all the notebooks, section groups, and pages. You certainly don’t want to get lost in your own notebooks, so using this macro lets you quickly find your bearings. Launch it, and you’ll get a nice breadcrumb trail of your current location. Ready to Pimp OneNote With Macros? 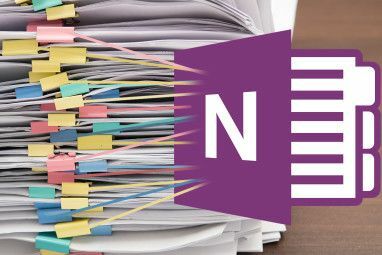 OneNote is already capable of so much 12 Tips to Take Better Notes with Microsoft OneNote 12 Tips to Take Better Notes with Microsoft OneNote These 12 tips show you how to take better notes in MIcrosoft OneNote. Today, digital note-taking is as much about skill, as it is about the tool. Read More , but these macros make it even better. If these aren’t enough for you, take a look at the hundreds of other options on Macroland, make your own, or even edit someone else’s macro to fit your own needs. Chances are if you want to do it, it’s possible with a macro. Start automating these slow tasks via macros and you’ll save yourself time! To protect yourself from the dark side of macros, check out how they’re used to create Word malware. Do you use Macros to enhance your OneNote experience? Please share your favorites with us by leaving a comment! Is there a macro that will take the names from a spreadsheet column and create onenote sections with that name? Is there a way to create a list of words commonly used in the One-Note and display when the last time one of these key words was used? For example: "When was the last time the word 'disaster' or 'hurricane' was used?" Could this macro also tally/display statics of the key words usage?